A little baby boy or girl would love to snuggle up with these delightful little turtles. This best selling pattern might look complicated, but with the easy to follow directions, it works up quickly. 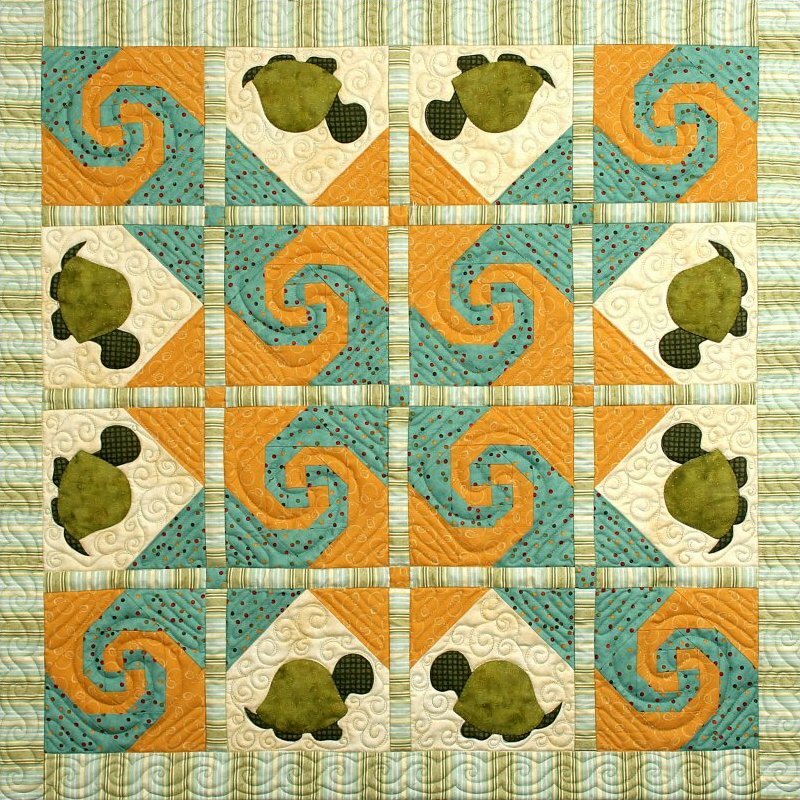 This pattern was designed after the snail trail pattern, but with the sashing and the turtles, it has a look all its own. Try this popular pattern and you might even want to make a larger version for an older child.